An "Introduction to the World's Oceans, Eighth Edition" is an introductory oceanography text intended for students without a background in mathematics, chemistry, physics, geology, or biology. It emphasizes the role of basic scientific principles in helping understand the processes that govern the ocean and the earth. A major objective of "An Introduction to the World's Oceans" is to stimulate student interest and curiosity by blending contemporary information and research with basic principles to form an integrated introduction to the sciences of the oceans. To keep the text as current as possible, the authors conduct their own research and examine other findings such as analyzing satellite data and large-scale oceanographic programs. From this vast amount of data, they select interesting, relevant, and understandable examples that illustrate contemporary principles of oceanography. 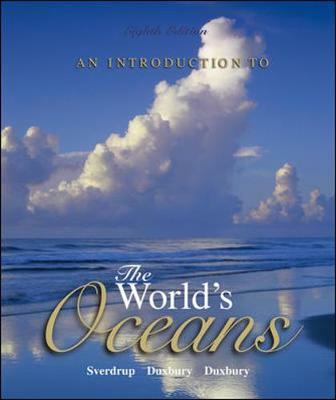 "An Introduction to the World's Oceans" places greater emphasis on the physical and geological aspects of the oceans than on the chemical and geochemical properties, because the latter disciplines require more specific background knowledge. An ecological approach helps integrate the biological chapters with other subjects. Students are encouraged to look at oceanography as a cohesive and united discipline rather than a collection of subjects gathered under a marine umbrella. As with all previous editions, the authors continue to make each chapter stand as independently as possible, so that professors can assign chapters in the order that best suits their classrooms.